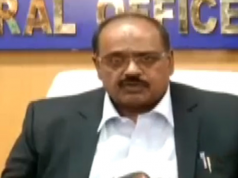 Global Odias bond over ‘Pakhala’! Bhubaneswar: ‘Pakhala’, ‘Dahi pakhala’ or water rice is a dish which is very popular in the Eastern Indian State of Odisha and is an absolute delight in the hot summer months. In fact, ‘Pakhala’ or it’s different versions has been the traditional food across most part of Eastern and North Eastern India. It is said to be popular even in countries like Vietnam / Myanmar. There are two ways of preparing ‘Pakhala’ – One, cooling cooked rice in water and soaking it in water, overnight and the other way is cooling it in water and adding curd to it. The dish is topped up by adding roasted mustard, curry leaves, lemon, fresh green chilles etc. On top of this, salt is added to taste. This delicious ‘cold soup’ is called ‘Torani’. ‘Pakhala’ is a natural coolant and in hot humid months, it helps prevent dehydration. It is rich in vitamins and helps to maintain a good digestive system. In fact, is also perceived to be a natural treatment for digestive disorders like ulcers. Pakhala is served with accompanying side dishes. The most popular ones are boiled and lightly cooked greens (called ‘Saga’ or ‘Saag’ in Hindi), deepfried vegetables (called ‘Bhaja’), mashed potatoes seasoned with cummin seeds (called ‘Aloo Chataka) roasted vegetables (potato, lady finger, etc). Non-vegetarian people, relish Pakhal with fried fish. 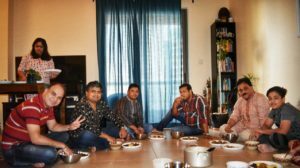 A new trend has started among Odias of UAE, particularly of ‘Communal eating of Pakhala’ – Popularly known as ‘Pakhala Party’. According to local Odia Mr. Priyadarshee Panigrahi, the premise of the concept is – ‘Let’s all cook one or two accompanying dishes, gather under a common roof and savour Pakhal together’. With this concept, according to him, no single person had a tough workload and the task of cooking was shared among all the participating families. What this ensured was a humongous spread of traditional Odia dishes along with ‘Pakhala’. With each passing summer, such parties became a rage. The communal eating of ‘Pakhala’ had many social benefits. Families, who were living in silos, got together to bond over a bowl of ‘Pakhala’.This kind of community eating helped improve brotherhood and team building among the community. According to Panigrahi, children, who have been out of their country (India) for a long time got exposed to traditional dishes and developed a taste for them. In addition to this, eating water rice with their hands became an equivalent of ‘fun foods’. The unique eating style of ‘Pakhala’ which involved scooping out fistfuls of rice from the bowl, with bare hands, became a novel activity for them, as per him. Many unique odia dishes like – ‘Patalghanta Chutchutaa’ (this tongue twisting Sambalpuri-Kosli dish comprises of mashed tomatoes, sautéed in cumin seeds over a mild fire) got introduced to many in the community. Such dishes that were dying a fast death, got a new lease of life. Ms. Jayashree Behera, who is a homemaker in Dubai, brought this dish and spiced it up with traditional ingredients like ‘hendua’ (dried bamboo shoots) and served it to the people. It became an instant hit. 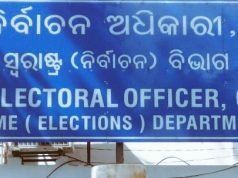 New traditional recipes became the buzzword among the ladies of the community and overall the Odia cuisine became the new topic of discussion. A simple act of communal eating has become an event, which is looked forward to by the members of the community. 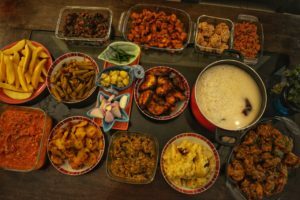 According to Mr. Rajesh Tripathy, an Odia who relishes such parties ‘This kind of get togethers really give us the taste of Odisha and take us back to our province and home towns. I really look forward to them’. 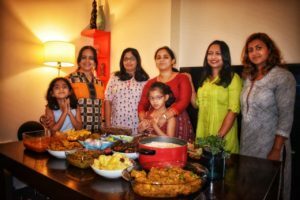 Mrs. Sushree Panda, an Odia who teaches in a Dubai School and doubles up as an Odia cook and food lover says ‘Such gatherings have rekindled our love for cooking and dishing out Odia cuisines. We are always on the lookout for forgotten dishes and take great pride in bringing such hidden recipes to our parties’. One important fallout (a positive one) of such communal gatherings has been that men, who shied away from the kitchen have again brushed up their culinary skills and are trying their hand at making Odia dishes to showcase them to the group. 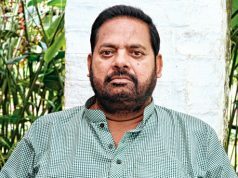 Mr. Anshuman Mahapatra, a self confessed Odia food lover, who used to cook many years back re-started cooking Odia foods. 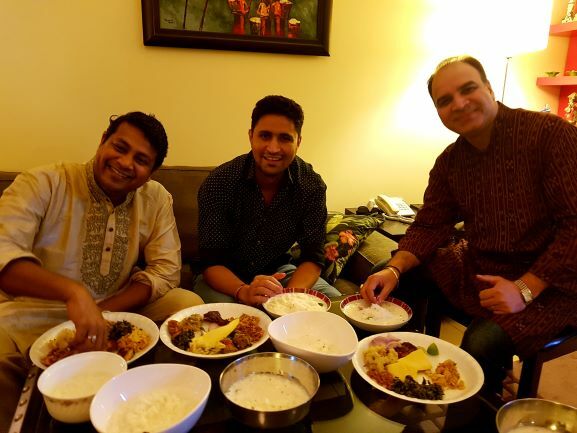 According to Anshuman ‘Such gatherings have rekindled my interest in Odia foods and I have made it a point to research and cook a new type of dish, each time we get together. Cooking gives me creative satisfaction and cooking Odia foods makes me feel the smell of my motherland’. This activity has also led to bonding between couples. Couples Suresh Mishra & Manaswini Nayak and Sabyasachi Samanta & Preeti Dandasena are all good cooks in their own right. However with the advent of such gatherings, such couples started cooking Odia delicacies together in their respective kitchens. Savouring the joy of dishing out fingerlicking Odia foods, together along with their spouses. Indeed, Odias in UAE are bonding well over a bowl of ‘Pakhala’!